We are one of the trusted companies providing the wide series of Automatic Form Fill Machines. Automatic Form Fill Seal Machines offered by us is highly qualitative and can be availed at reasonable prices. These machines are made from certified material and in compliance with the specific norms. Sturdily constructed our range is specifically made to meet the dynamic demand of clients in an appropriate manner. Our company is engaged in the manufacturing of Formfill Seal Liquid packaging machine, which are manufactured from updated technology. 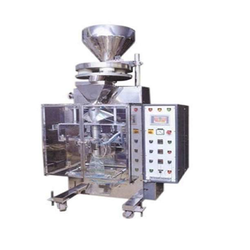 This machine is used in the packing of food stuffs and other products such as oil, ghee, edible oil, milk etc. 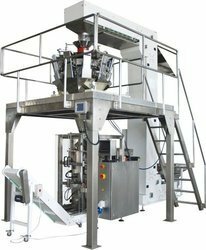 This machine delivers high output and is able to pack products up to 1 litres.